Kearney's downtown eatery and coffeehouse invites you to stop in and experience our unique atmosphere and delicious menu items. TRU serves a daily menu of appetizers, soups, salads, wraps, sandwiches, pizzas, baked goods and desserts. As is our focus, all menu items are made in house and sourced from local and organic growers. 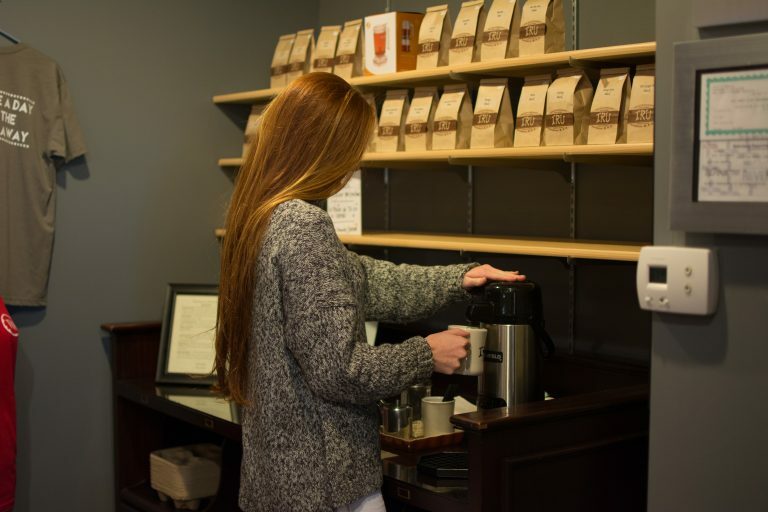 Enjoy our fresh roasted coffee beans, loose leaf teas, wines, craft beers and classic cocktails. On a trip from Chicago to Glenwood Springs, CO, we stopped by this place for lunch. First impression, neat design, cool artwork, piano out front. Then the food and drink. Amazing stuff, all of it. They try to make your meal as healthy as tasty as they can, and succeed. And they even have an art gallery and various artistic creations for sale (like hand-knit scarves). I’m looking forward to going here again on the way back. This place was a TRU find! I was on a road trip across country and stopped in search of a cup of joe…ended up finding this place and it was the greatest! The owners were kind and hardworking. The place was artsy, all the food was baked there by the owner (!! ), and they had a schedule for live music. There were also local handmade products for sale along with the drinks and munchies. I was so happy to find this place and hope you get to enjoy it too if you’re ever in Kearney. It was my first time in this afternoon (came with 2 of my little girls) and it was amazing!! Food was wonderful, and the women that help us and made our food was the sweetest! We will be back soon! Wished we lived closer. I was blown away by the atmosphere, beautifully appointed with amazing local artwork. The menu offers a variety of organic, freshly made items with natural ingredients and even gluten free options! 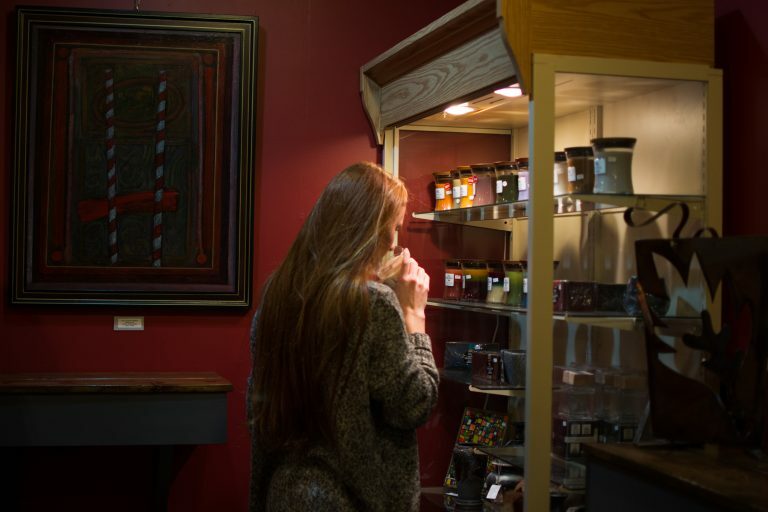 TRU Cafe offers several varieties of fresh-roasted for you to enjoy at home. Our selection includes single-origin and blends. $8 for a 1/2 lb bag, or $16 for a 1 lb bag. We also offer TRU merchandise so you can show the world your love of great coffee and delicious, organic, and locally sourced food. Our selection includes t-shirts (short- and long-sleeve), hats, WoodWick candles and more!